Last year, the Qatari government promised to, uh, get better about using forced labor to build the stadiums and infrastructure it needs to host the World Cup in 2020. But according to a new report from Amnesty International, nothing has changed. 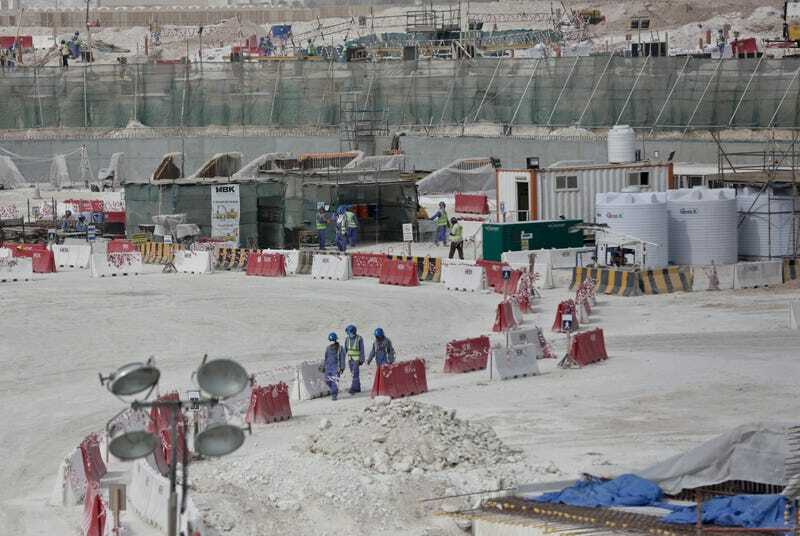 Yesterday, Amnesty put out an in-depth update on Qatar’s promise to improve the working conditions of the migrant laborers working on dozens of giant projects for the upcoming World Cup. 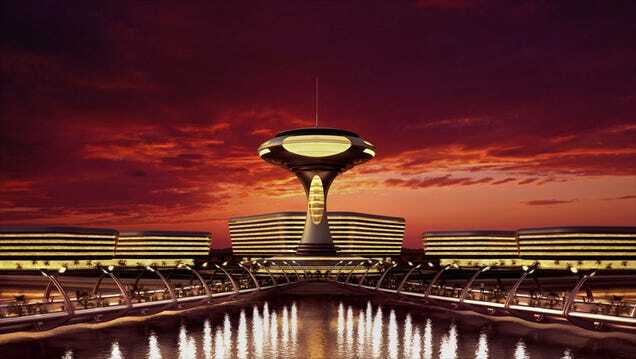 These projects range from floating luxury hotels to... whatever this is, as Screamer’s Billy Haisley showed us in his absurdist rundown of the planned buildings last week. “If there’s one surefire way to make World Cup fans forget about staggering human rights atrocities, it’s giving them underwater hotel rooms,” wrote Haisley. The title of the new report is Promising Little, Delivering Less, which really says it all. Top: Lusail Stadium via Wikimedia. Bottom: Al-Gharafa Stadium via Wikimedia. Another awful detail: Amnesty says that many Nepali workers—who comprise a large percentage of migrant workers in Qatar—haven’t even been able to get permission to go home after the April 25 earthquake, or even news about their families in some cases. In a country where architects and engineers from all over the world are working, this is outrageous. It might not be anyone’s “responsibility” except the government to oversee how these buildings are being built, but that seems like a serious cop-out. Is the price of architecture, or soccer for that matter, really that high?